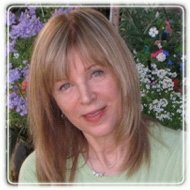 Sacramento Therapist: Kathleen Oravec - Therapist 95816. Tools to begin your life together! Therapy is a tool for anyone searching for change and overall well-being. It can be very intimidating to reach out to someone to discuss the most intimate details of your life. My initial goal is to create an empathetic, trusting, and comfortable relationship with you. It is ultimately about the ability to find the answers and chart new courses while figuring out who you are and what you want out of life.